Other moustache waxes weren't doing the trick, so I made my own. I've kept a moustache since my first patchy attempts at growing one as a teenager. I've tried a lot of products to keep it looking neat, including expensive European waxes, hair pomades, gels, creams...none of them worked quite the way I wanted them to. So I began experimenting at home to create the product that I was looking for: a simple, rugged, effective wax with a natural smell and matte finish. After a lot of trial and error, I created the formula that I use today. My Tamer was intended for personal use. But once people gave it a try, they wanted some of their own! 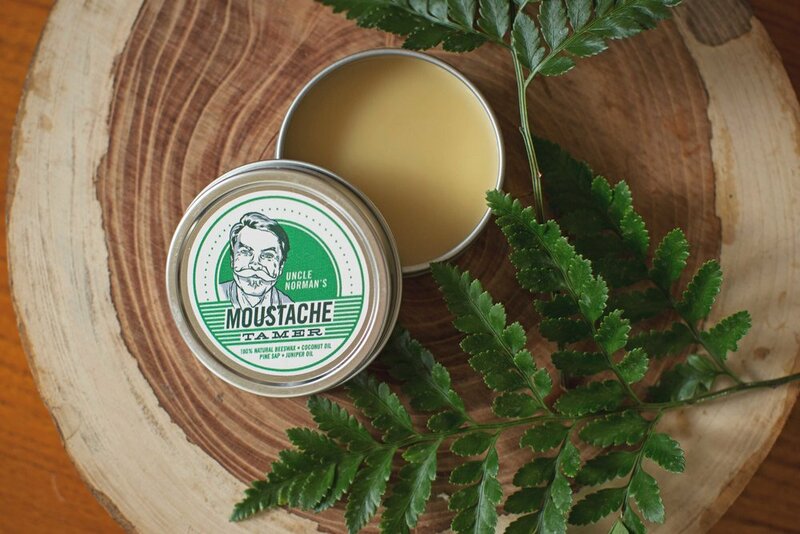 Today, Uncle Norman's Moustache Tamer has a growing group of loyal customers who appreciate its no-nonsense functionality and woodsy, masculine scent.